Amazon Insects is a useful resource for naturalists, research biologists, tourists and other visitors to the New World tropics who would like to know more about the insect fauna surrounding them. Special effort has been made to include those species that are most likely to be seen while hiking on tropical forest trails. Unlike most other works, the insects are identified to species whenever possible. A short description of the subject in Spanish is also provided. The photographs feature some of the biggest, most beautiful, and most bizarre invertebrates that can be encountered, and all are in color. 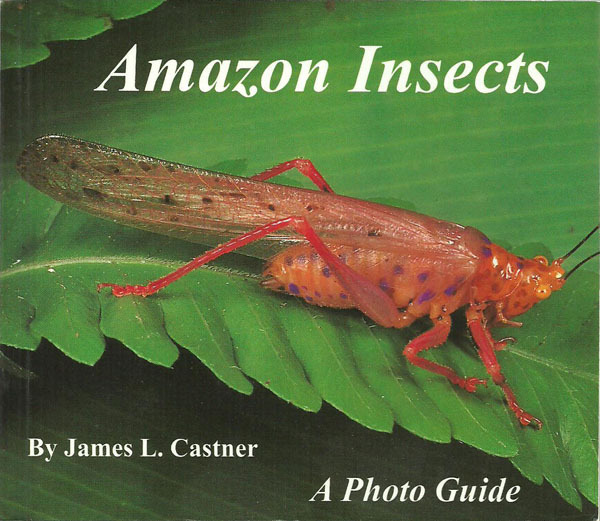 Amazon Insects was written and photographed by Dr. James L. Castner, a tropical biologist and professional photographer who has spent many years traveling throughout the rainforests of Central and South America. 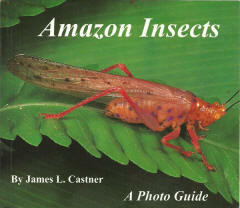 He has combined his talents as a photographer with his knowledge as an entomologist to produce this unique pocket-size guidebook dealing with the insect and arthropod fauna of the Amazon Basin. 310 pages. 2000+ color photos. 5 x 5.75 inches. Perfect-bound (softcover).